« Make48 to Air Season Two this Spring! 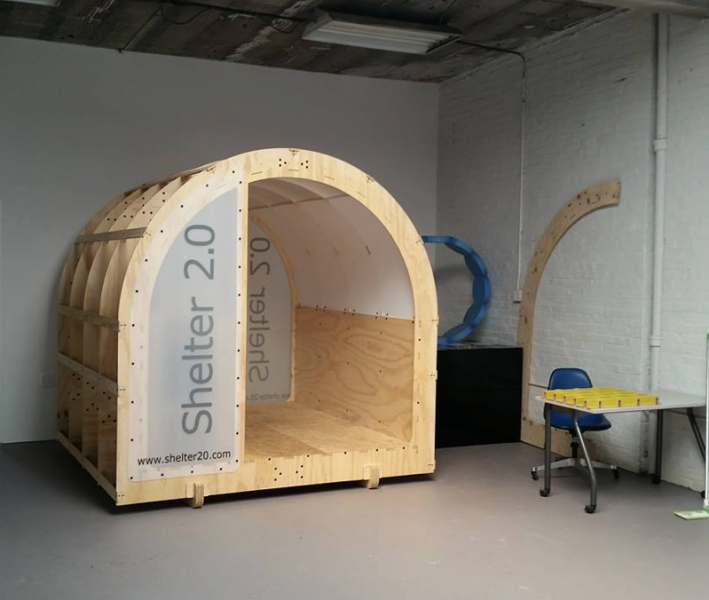 Shelter 2.0, the Open Design transitional housing design created by Bill Young and Robert Bridges, has just made the “release” files available for a new 8’x8′ design that not only reduces the materials needed, but includes a lot of small changes to make them easier to assemble and less hardware-dependent. 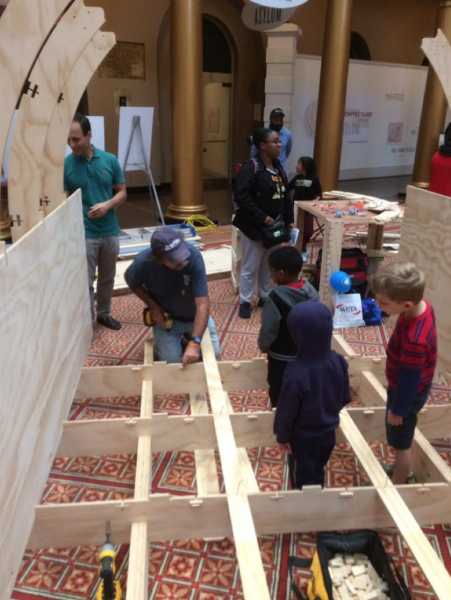 You may have seen early versions of the 8’x8’ in the wild before, at places like the FabLabDC, the Big Build at the National Building Museum, and MakeLocal at the NY Maker Faire. The interesting part of this though is how they have been released. One of the hardest parts of sharing designs like Shelter 2.0 is supplying files in enough formats, and with enough information, to be useful to fabricators. 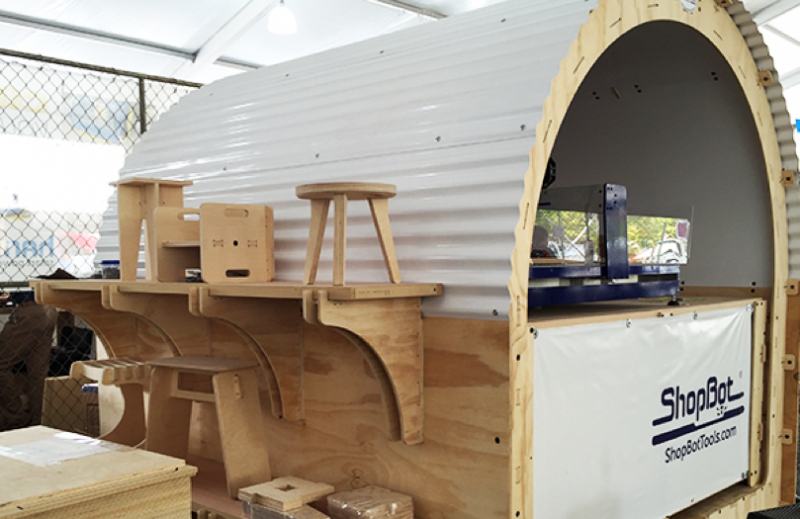 All the Shelter 2.0 designs are created and toolpathed in VCarve, so at the San Mateo Maker Faire this past Spring we asked the Vectric team if they had any ideas for sharing our VCarve files with people that might not have a copy of the software. The solution that they came up with was brilliant…to add special tags to Shelter 2.0 files that will allow them to be used in the free trial version of VCarve v9. With these tagged files we can now include all the machining information to Shelter 2.0 files that we think is important but is not available in other formats. Users will not only be able to do a few modifications to the parts, but most importantly will be able to create toolpaths and run them on their own CNC tools. This will allow fabricators that might not have VCarve, or haven’t updated their copies yet to V9, to be able to use the files just the way we do when we cut them. You can download the specially tagged files at http://vectricltd.cmail20.com/t/r-l-jrijdhhk-jlihdlhrtu-h/ and find cutting instructions and assembly instructions on Google Docs. Our special thanks go out to the Vectric team, especially Chris and Steph, for making this happen. And of course to ShopBot for supporting Shelter 2.0 from the beginning.